The Trump administration wants to give the 1 percent even more of a break. This week, millions of Americans finished filing their taxes, doing their part to fund public education, health care, public transportation, and more. And as usual, while many of us are paying our fair share, Wall Street is taking advantage of a rigged system to avoid contributing billions of dollars. The corporate tax rate would be slashed from 35 percent to 15 percent―saving the six largest US banks a combined $12 billion annually. 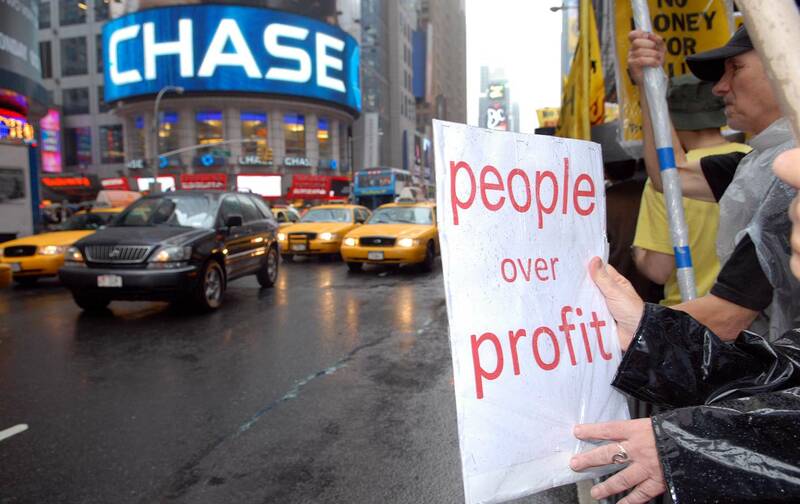 Banks that stash huge profits offshore would be allowed to bring those profits home at a fraction of the price―saving the six largest US banks an estimated $25 billion in taxes. Hedge-fund managers and Wall Street CEOs would see a two-thirds cut in their individual tax rates―equaling a $1.5 trillion tax giveaway over 10 years mostly to Wall Street billionaires and the richest 1 percent. All of this while President Trump’s proposed budget slashes everything from the arts to scientific research to Meals on Wheels. Sign our petition with Americans for Tax Fairness Action Fund, Rootstrikes, Citizen Action of New York, and others calling on Congress to fight for tax reform that forces Wall Street to pay its fair share. Then, to amplify your voice, find a Resistance Recess event or Town Hall near you and confront lawmakers in person. While President Trump boasts about his plan to reform the tax code, we still don’t know much about his own contributions—and Americans are angry about that fact. Read Joshua Holland’s report on the over 100,000 people who took to the streets last weekend to demand that Trump release his tax returns.